Adora is a cause related marketing and ad tech platform. End users select a charity of their choice and opt in to view ads and content on the lockscreen on their mobile device. Brands pay to serve content and ads to the end users. A percentage of the proceeds are donated to the charity of the end users choice. For more information, please visit www.getadora.com. CARCHEX is the premier provider of direct-to-consumer automotive products and services including auto warranty, pre-purchase inspections, auto insurance, auto financing and car buying. The company serves as a consumer advocate throughout all stages of the car buying, selling and ownership process. Protecting automotive consumers for over 14 years and providing exceptional customer service has translated into an A+ Rating with the Better Business Bureau. To learn more about CARCHEX and to Get Protected, visit www.CARCHEX.com. The Carefree Pet is a holistic and natural pet product company powered by a custom built technology platform that streamlines and automates the processes of inventory and supply chain management, sales, marketing, and lead generation. The platform features dynamic product pairing capabilities as well automated customer classification that allow retail, wholesale, dropship, distributor, and private label pet product customers to convert purchases at their respective tier in the supply chain. To learn more visit www.carefreepet.com. Chai leverages utility smart meter data along, proprietary algorithms, and push notifications to tells homeowners exactly what they can do to stop wasting money on their electric bill. As energy costs rise and time of use energy rates (TOU – the cost of electricity fluctuates pending on the time energy is being used) go into effect, the cost savings with Chai increase considerably making Chai a value add for its customer. Additionally, Chai’s notifications can notify customers when home appliances are turned on and off, or even left on for extended amounts of time. Chai can also detect when home appliances are off that should be cycling on and notify the customer of a potential problem with a home appliance. This is a safety feature included with Chai and helps give the customer piece of mind when they are away from their home. To learn more visit www.chaienergy.com. ClearVoice is a content marketing company that powers connections, collaborations and creativity for the new content economy. With proprietary technology, a network of authoritative content creators and a seasoned team to execute on professional services, ClearVoice propels content marketing campaigns. ClearVoice is a privately held company headquartered in Phoenix, Arizona. To learn more visit www.clearvoice.com. iAcquire is a content marketing agency based in Phoenix and New York City that builds content brands for 75+ clients globally. The agency develops, optimizes and promotes content that ranks well in organic search and shares well in social media as well as develops content strategies to help clients navigate the evolving consumer landscape. Its growing customer base includes leaders in technology, retail, higher education, financial services, media and more. To learn more visit www.iacquire.com. iCrossing, recently named a “Leader” in Gartner’s Magic Quadrant for global digital marketing agencies, builds connected brands for some of the world’s most recognized companies including Beam Suntory, Inc., The Coca-Cola Company and LG Electronics. The agency combines its expertise in media, creative and analytics to create moments that build close relationships with brands and their customers in real time. iCrossing, a unit of Hearst Corporation, is headquartered in New York and has 900 employees in 17 offices globally. For more information, visit www.icrossing.com or its social spaces. LocalWork.com started up in 2012, and we’ve been on an epic ride ever since. We first started as a place to help job seekers find local jobs, but now has evolved into the fastest growing employment platform. Built with one focus – LocalWork.com has created an exceptional experience for our community to find local employment opportunities. We owe a huge appreciation to our community for the support and trust as we have been building our very own success story. For more information, visit www.localwork.com. Paygevity is a NYC-based, FinTech, B2B payment solutions company that serves corporations, governments, and their vendors worldwide. Paygevity disrupts an outdated banking system and meets the demand in the marketplace for prompt payment. Paygevity transforms supply chain relationships, increases working capital flexibility, and makes growth opportunities more accessible than ever before. Paygevity’s e-invoicing technology is simple, yet incredibly powerful. For more information, please visit www.paygevity.com. Pop Results is an inbound marketing agency with over a decade of experience assisting small and medium size businesses as well as globally recognizable brands with complex internet marketing campaigns. 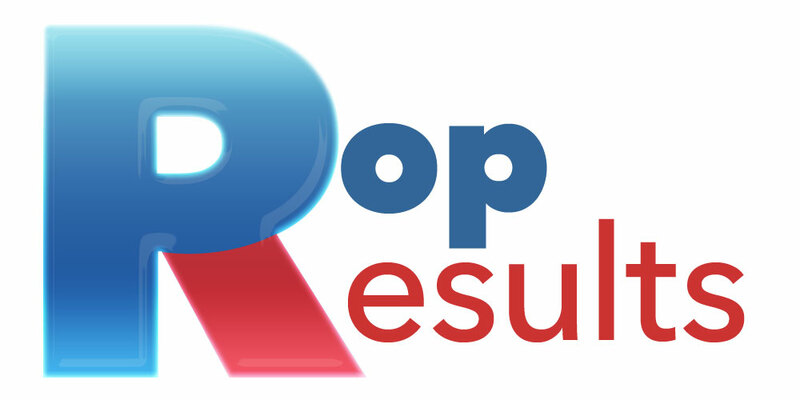 Pop Results specializes in inbound marketing services including but not limited to content marketing, on page seo, off page seo, local search, paid search, paid search, social media marketing, mobile marketing, video marketing, lead generation, reputation management, and digital pr solutions. For more information, visit www.popresults.com. Traklight is a simple and affordable way to identify, manage, and protect valuable intangible assets including IP. The software is a simple, automated, cost-effective way to identify potential legal issues and minimize business risk. Understand your full value by capturing and monetizing your assets. Protect those nuggets of gold, AKA intangible assets, that increase your company’s value, give a competitive edge, and minimize business risk. For more information, please visit www.traklight.com. VoiceCut empowers you to edit while filming with the power of voice. All you have to do is press record. Speak your start points. Speak cut points. Relax. Edit by voice on any device. No additional hardware required. For more information, visit www.voicecuttech.com.